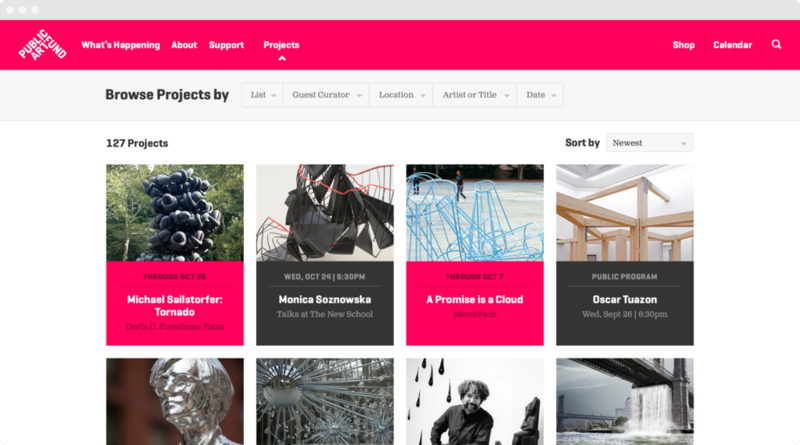 Public Art Fund is a museum with no walls: one of the largest curators of public artwork in the world with a legacy spanning decades in New York City. 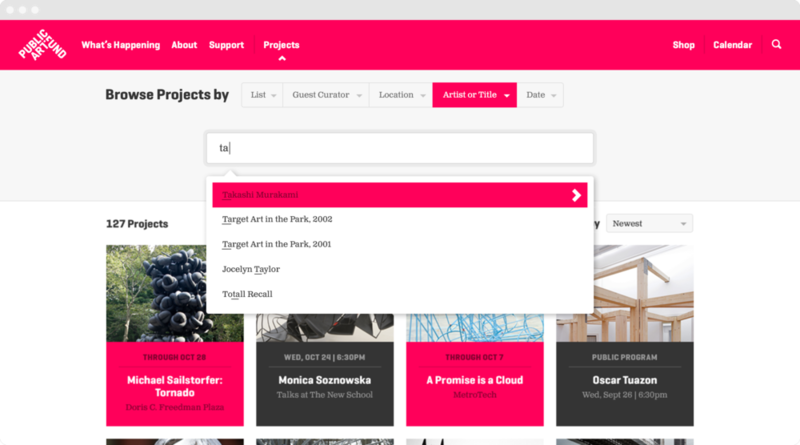 Hundreds of thousands interact with its collection every year; however, Public Art Fund didn’t have an easy way to map its artworks, provide information about each artist and exhibition, and share the context around the creations. When installations were completed, they would disappear from the public view and were only accessible through Public Art Fund’s vast but private archives. 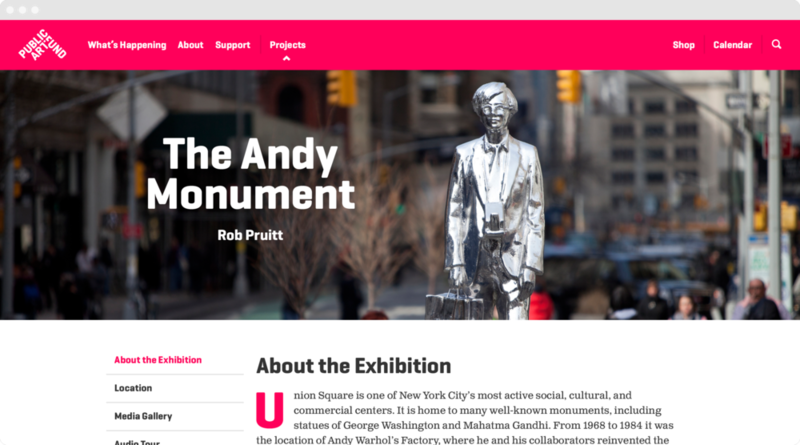 We helped them turn their extraordinary collection of public works into a virtual institution, complete with exhibitions, audio tours, maps, and gift shop to allow people anywhere to experience their works and to guide visitors on-site.